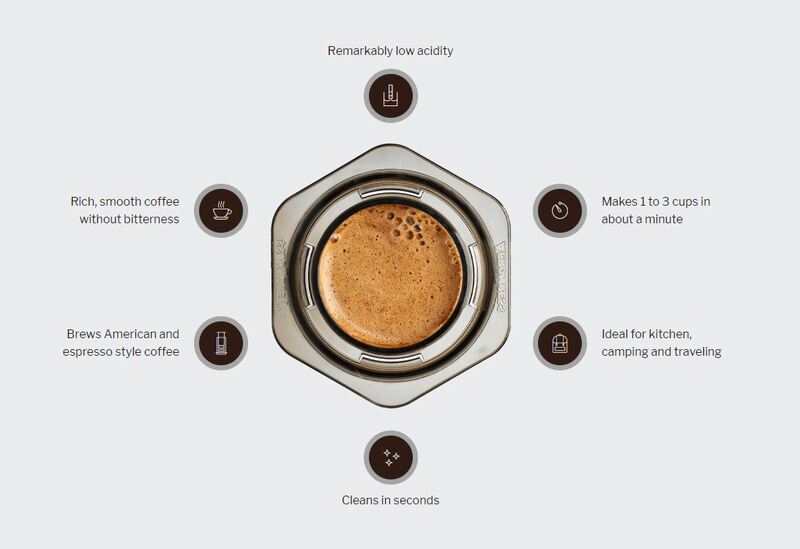 The AeroPress coffee maker is most commonly used in the home kitchen but it is lightweight, compact, and durable, making it ideal for use when camping, backpacking, boating, or just traveling. The AeroPress is available with a zippered nylon tote bag (see photo above) that makes it easy to travel with the coffee maker and a bag of coffee. Packs of 350 replacement filters (see photo above) can be purchased from many retailers that carry the AeroPress.